RRSP contribution deadline is Monday February 29th. If you are a FIRST TIME HOMEBUYER and are holding/accumulating down payment funds in cash or a non tax savings structure AND don't think you'll be buying for at least 90 days, consider putting up to $25,000 of your down payment into a RRSP before the deadline. WHY? 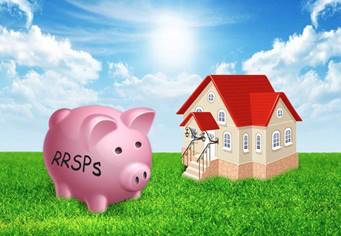 Well, if you put your $$ into an RRSP by February 29th, technically you can withdraw up to $25,000 of your RRSP on or after May 30th to use towards your down payment as a first time homebuyer AND reap the tax break for against your 2015 or 2016 taxes! YESSIREE - that's a legitimate double dip. The KEY is that the funds need only be vested in a RRSP a minimum of 90 days before withdrawal to realize both benefits. Like more info? Or a referral to a financial advisor that can assist you with this? Call Sharon Davis 604-220-2343 today!